We associate glory with something having gone well. A triumphant occasion, something worthy of praise and adoration – something to be proud of. For example the “glory of the cup”, or the “glory days”. What we see here is true glory. More in keeping with the “Glory of the Lord shone around” of the Angels appearing to the Shepherds at Jesus’ birth in Luke 2. 28 About eight days later Jesus took Peter, John, and James with him and went up on a mountain to pray. 29 While he was praying, his face changed, and his clothes became shining white. 30 Suddenly Moses and Elijah were there speaking with him. 31 They appeared in heavenly glory and talked about all that Jesus’ death in Jerusalem would mean. 32 Peter and the other two disciples had been sound asleep. All at once they woke up and saw how glorious Jesus was. They also saw the two men who were with him. 33 Moses and Elijah were about to leave, when Peter said to Jesus, “Master, it is good for us to be here! Let us make three shelters, one for you, one for Moses, and one for Elijah.” But Peter did not know what he was talking about. 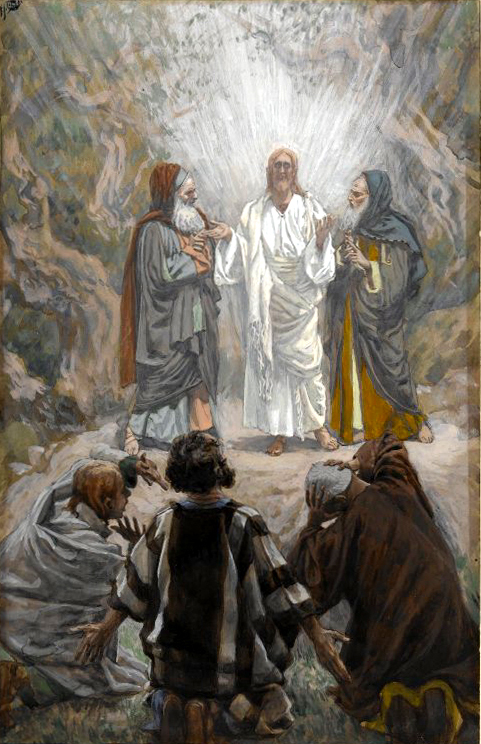 36 After the voice had spoken, Peter, John, and James saw only Jesus. For some time they kept quiet and did not say anything about what they had seen. It’s all about the glory. Not glory for Jesus, Moses or Elijah, and certainly not for Peter, John and James. It’s about the glory of God shining through, breaking through. The glory of God, here shining in and through the life of Jesus. Bringing Heaven’s glory to earth as he lived and was God. And Peter, James and John so nearly missed it. Are we missing God’s glory, his presence shining? Either because we’re looking in the wrong place, focussing on the wrong thing (like building shelters instead of just taking it in), or because we’re sound asleep? Just in case you missed it at his baptism, just in case you were still wondering – yes, this is my son. He is my presence in the world. Pay attention to him if you want to know what I think. May we all allow His glory to shine through us in our words and actions. We all need to slow down and spend quiet time in His presence in order for this to happen. Thanks for sharing! Blessings.